Perched atop a hillock in Seoul, Korea, is the picturesque Sunset Park. It is resplendent in spring, with glorious bursts of flowers and foliage. Winter brings with it a peaceful serenity while families with children teem there in summer to camp on its grassy plains, play rounds of golf or catch butterflies. 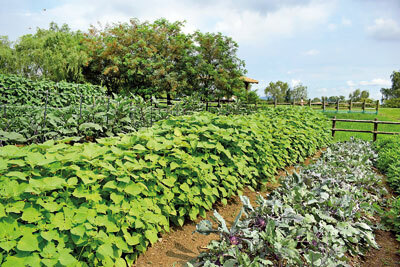 There is even an orchard, a vegetable plot and an herb garden. It defies belief that this was once a landfill into which 92 million tonnes of garbage was dumped over a 15-year period. The slopes that sightseers stroll on are made entirely of rubbish. And here and there, methane pipes still rise from the ground while the area is constantly monitored as the garbage settles further with time. 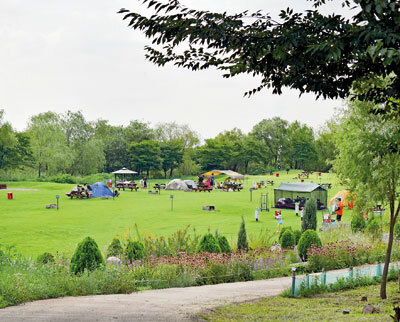 Sunset Park–or ‘Neoul Park’ in Korean–is one of five that make up the World Cup Park in Sangamdong-gil, Seoul. They are arranged around the World Cup Stadium and were opened in May 2002, in time for the 17th FIFA World Cup hosted by Japan and Korea. This place was called Nanjido Island. It wasn’t always so scenic. The landfill, which opened in 1978 and closed in 1993, stretched for 2.4 kilometres and was 98 metres tall. According to Korean urban planners, the absence of waste disposal sites led Nanjido to be turned into Seoul’s official dumpsite as it was easily accessible. “Since this point, the once beautiful island with promising outlook slowly turned into land of death,” says Seoul Solution, a Seoul Metropolitan Government website. “From March 1978, trash began to be filled here, and in 1998, 28,877 tonnes of garbage was gushed [sic] out to the landfill site every day.” This went on till November 1992. Serious environmental problems arose. Nanjido turned into a stinking mess that emitted harmful gases and effluents. 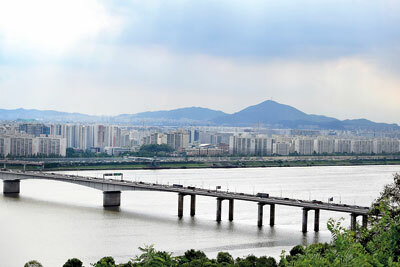 The nearby Han River was badly affected while the air quality and ecosystem took a severe battering. So the Government devised a plan to transform the area into parks with views of Seoul. This was a long-term, painstaking project that involved land stabilisation, topsoil levelling and soil recovery, leachate treatment, recycling of landfill gas and slope stabilisation. The project took many years to reach fruition and the results today are striking. 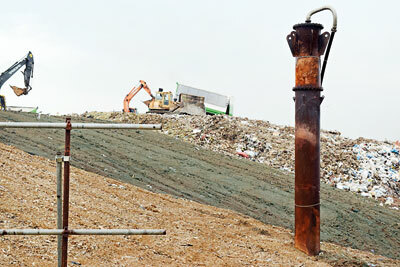 Some distance away is Incheon, a sprawling metropolis within which is located the world’s largest landfill site. The proposal here is to turn the massive dump, once it reaches maximum capacity, into a “Dream Park”. The whole operation is carried out by the Sudokwon Landfill Site Management Corporation (SLC) which, incidentally, helped Sri Lanka to build the Dompe sanitary landfill which was implemented with Korean International Cooperation Agency (KOICA) aid. That is just two hectares in extent. Sudokwon is 1,540 hectares. When Nanjido was shut down, it was to this area that the Government shifted the waste of millions of inhabitants of Seoul. The local resistance to the plan is well-documented. Residents were fearful of air and water pollution, among other things. The authorities set up committees to allay their fears, opening the site up to inspections and monitoring by residents. After land-filling started, an operations committee was established along with a community support fund to improve the environment and quality of life in surrounding areas. Depositing of garbage kicked off in 1992. There was a learning process which led, today, to better methods of managing leachate, odour and other forms of pollution. The Government took a lead in most areas, even promulgating a law to set up the SLC as a public-private management body in 2000. Operations were centralised to avoid overlap and poor coordination among the metropolitan Governments of metropolitan area of Seoul, Incheon, and Gyeonggi-do. This way, waste management and civil complaints could be addressed in a harmonised manner. Without strong State backing, the project would not have been possible, authorities said. 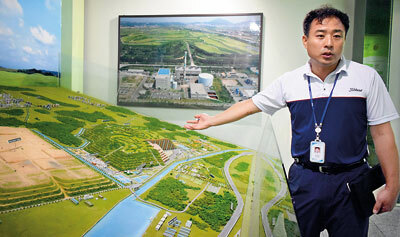 Today, the adverse effects on the environment of the Sudkwon landfill are greatly reduced through sophisticated leachate and waste treatment techniques, says Hee Mun Lee, Deputy General Manager of SLC’s Climate Change Business Division. Mr Hee worked on the Dompe landfill site in Sri Lanka. Methane gas from buried garbage is used to generate energy which powers a turbine to generate electricity for the landfill site. This is now making profit. Less lucrative is an ongoing initiative to turn garbage into combustible pellets which SLC then hopes to sell to private power generation firms. However, it is being continued as part of research and development. (Ten percent of all profits generated from operations at Sudokwon go towards the welfare of area residents). At the same time as developing the Sudokwon site, the Government introduced a volume-based waste disposal fee which saw Koreans paying for the amount of waste they originated. Households and commercial entities have to buy designated bags to throw away their rubbish. Collection of recyclable waste is free. This caused a drop in the volume of garbage generated. It was then decided to extend the lifetime of the Sudokwon site much beyond 2016, when it had been expected to reach capacity. This caused another spurt of protests from people who had expected the dumping to end on schedule. The dispute was recently resolved after it was agreed to hand ownership of the land to Incheon Metropolitan Government. Today, rubbish is transported to the landfill site everyday in covered green trucks. Each time a layer of it is dumped, it is flattened by dozers and 0.2 metres of soil is laid on top of it. This happens every day and within five hours to prevent waste from dispersing, pests and foul odour from spreading and rainwater penetration. The naturally-produced landfill gas (methane concentration of about 50%) is collected and transferred to a 50 megawatt power plant to simultaneously generate electricity and prevent foul odour. A cut-off wall on the bottom of landfill site prevents groundwater contamination and the leachate collected there goes to a treatment facility. Rainwater is removed through drains. Sterilizers and deodorizers are sprayed out while landfill waste treatment is underway. This includes smoke screen disinfection, road deodorization, upper-air deodorization and the sprinkling of water in surrounding areas. The Sudokwon site has four sections. The first reached capacity and was closed in 2000. The second is receiving waste while the third is under preparation. The ultimate plan is to rehabilitate the whole area into Korea’s biggest eco-friendly park called ‘Dream Park’. The transformation is complete in the first section. Not only does it have a wildflower complex and a wetland observation zone, it boasts a soccer field, a basketball stadium and tennis courts and, of course, a public golf course.